This week I was tasked with revamping the sabertooth cat dig site exhibit at the San Luis Obispo Children’s Museum. To begin , the new skull was a fixed onto the old Sabertooth Cat skeleton slab, and then I began repairing the substrate and outlining the “fleshed out” body. The intention is to show children and parents how the bones , (with many missing from the old exhibit) and the surrounding tissue and fur become much larger than expected. These big cats were the top predators of Central California before the Ice Age , and towered above the size of children. Day 3: The task of bringing to “life” this Cat begins with research on what we know about this kitty and asking questions about its size, muscling , probable tail positioning and “attitude”. I go back to the digital concept design that I drew on my Wacom tablet , using the old skull fragment with its missing giant incisors and the old wood block pieces that had held the left hind foot (missing) pieces. 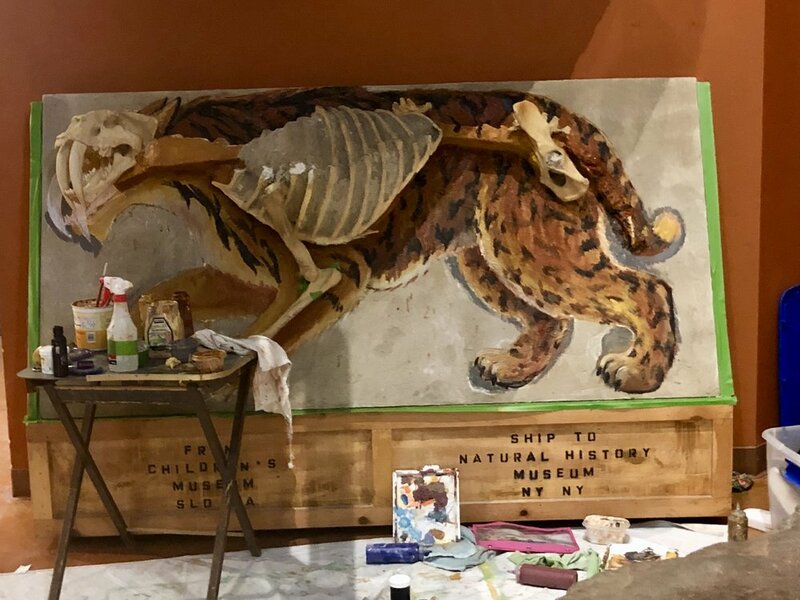 This original and damaged exhibit piece needed a bigger over haul: a new skull with incisors in place, empty wood block pieces removed and the tail repositioned to a more realistic and “perky” position, and more realistic color with coat color to match the facing mural that I had painted several years ago of the entire Saber Toothed Cat habitat. The original Cat bones panel was designed to be a giant puzzle where the courious children could find the bone pieces in the dig site bark and then place them onto the bones exhibit. However, over the years many bones and fangs disappeared and some permanent bones on the wood blocks were gone. 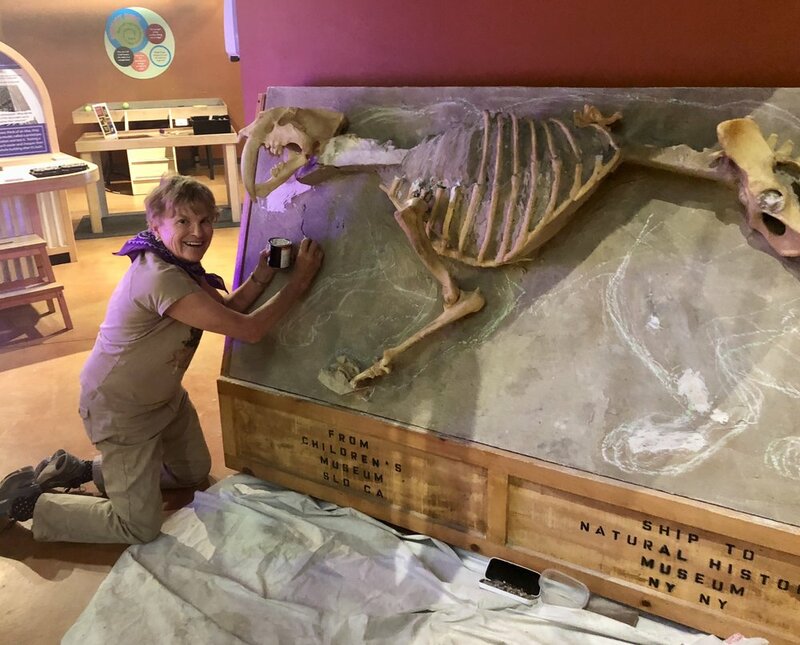 The question was how to attractively fix the cement slab with some bones reattached and how to paint I such a way the big kitty could come to life. I researched through all natural history museums and came up with this unique and more colorful solution of mixing together the incomplete bones along side the life-like painted illustration . Painting on top of textured cement is not easy, eating up my good brushes and challenging precise detail! The Saber Toothed Cat Habitat at the Dig Site exhibit. Children can dig through the bark and unearth bones to touch and talk about. This is what the San Luis Obispo landscape perhaps looked like 10,000 years ago! A detail of the original habitat mural, with the Saber Toothed Cat smaller than in real life, but portrayed in a cave overlooking its prey that mostly became extinct during the Ice Age. Gone are the giant Dyer Wolves, the camels, the striped horses, the mastodons. Still present today are the turtle and birds: the quail, the great blue heron and condor! Isn’t this amazing of what life survived the Pleistocene! The darker color on the background slab and more bones attached are giving more “pop” to the exhibit. 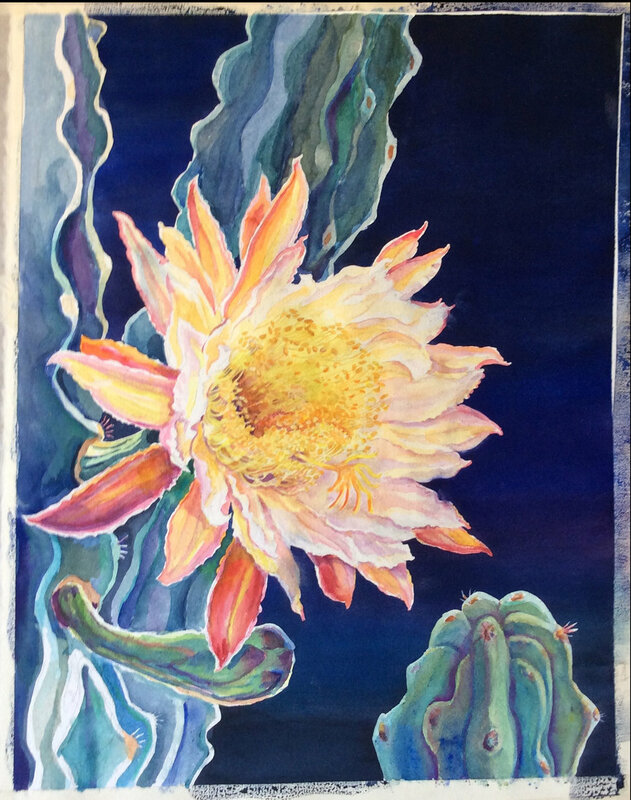 I am making good progress and more people look at it with more vibrant color and detail! 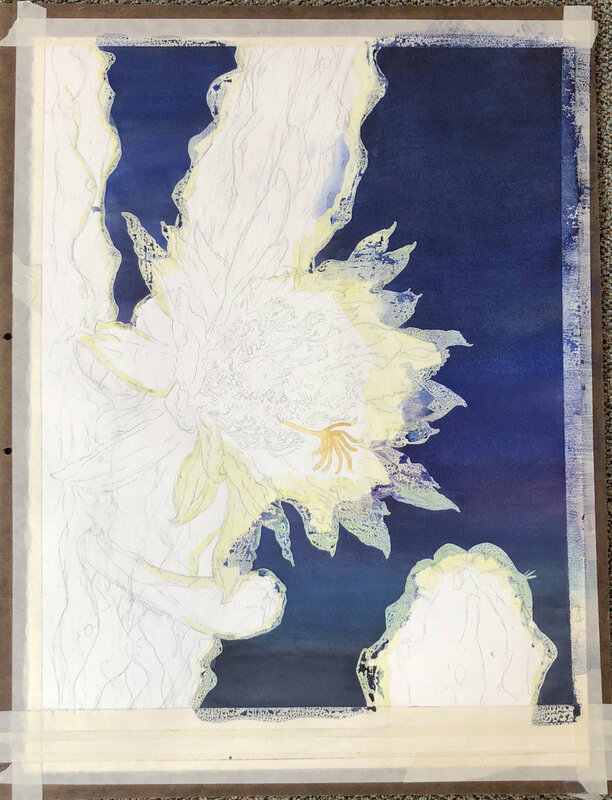 My years as a biological and botanical illustrator of books and other exhibits help make this less stressful, although the physical positions of crouching and leaning over is a real challenge! The next challenge: squeezing in behind the whole skull with my hand and brushes to indicate what a “fleshed out” dramatic head might look like. 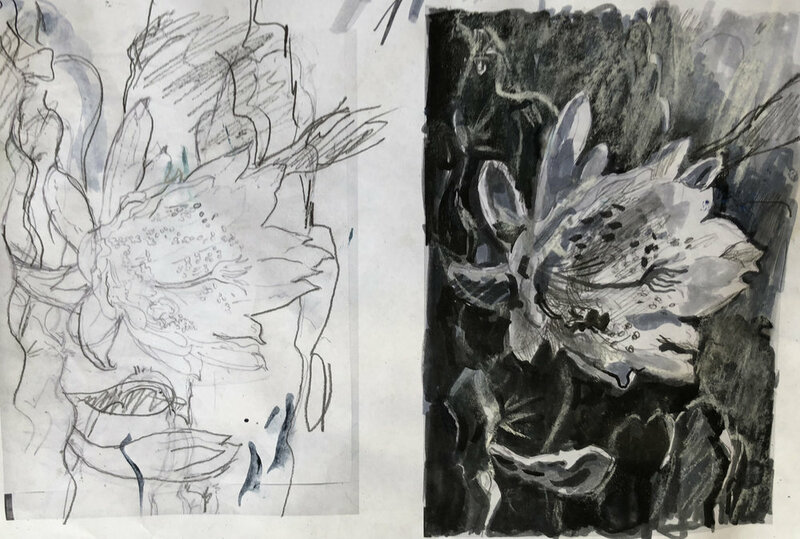 This is a quickly painted initial 3/4 view sketch, and shows that the image will be distorted from a passing side view. Perhaps there is no perfect solution for the frontal and side view of the head, so I will have to worry through a compromise painted solution. 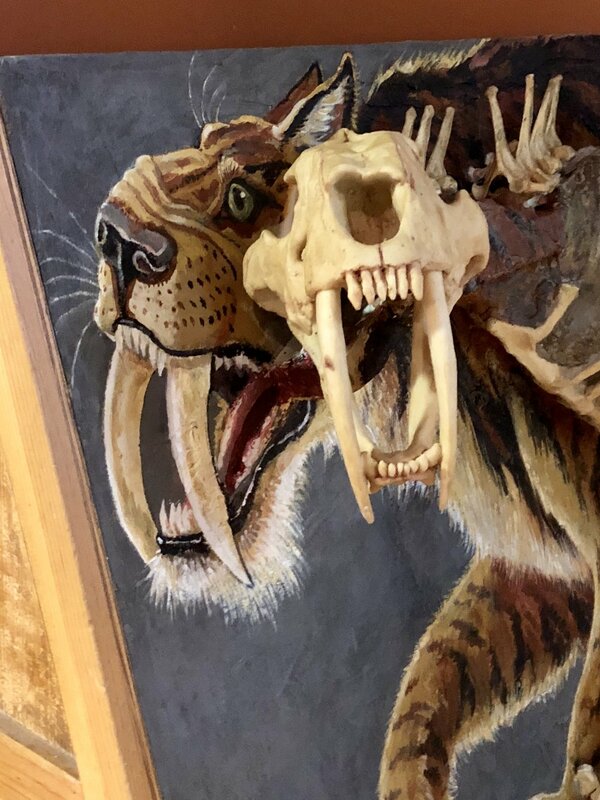 Friday : The Saber Toothed Cat now has glowing backlit fur “outline “ and lots more detail to create drama and sense of reality; it is coming to life! Public art, such as this exhibit piece of cast bones in cement and now augmented with pigment and real-life form, truly belongs to the viewers. Little people and their adult companions now can better imagine what prehistoric life was like. While painting these many hours, I have over heard many wonderful , creative interactions between the viewers and realize what a fine resource this Children’s Museum really is: bravo! It is great to be part of this endeavor and I wish that I had a spare spot for the children who wanted to help paint! Monday: Added the finishing touches on the Saber Toothed Cat and slab, bringing the exhibit to life. The small details of painting the reflection on the lips and eyes, and fine backlit hairs are worth the extra effort. Done! I added my signature as small “future scientists” stopped to look and question, after their morning class. I wish that there were more spare bones so that this could be more of an interactive “ puzzle “exhibit , but hopefully this new revamp of the exhibit will work well. 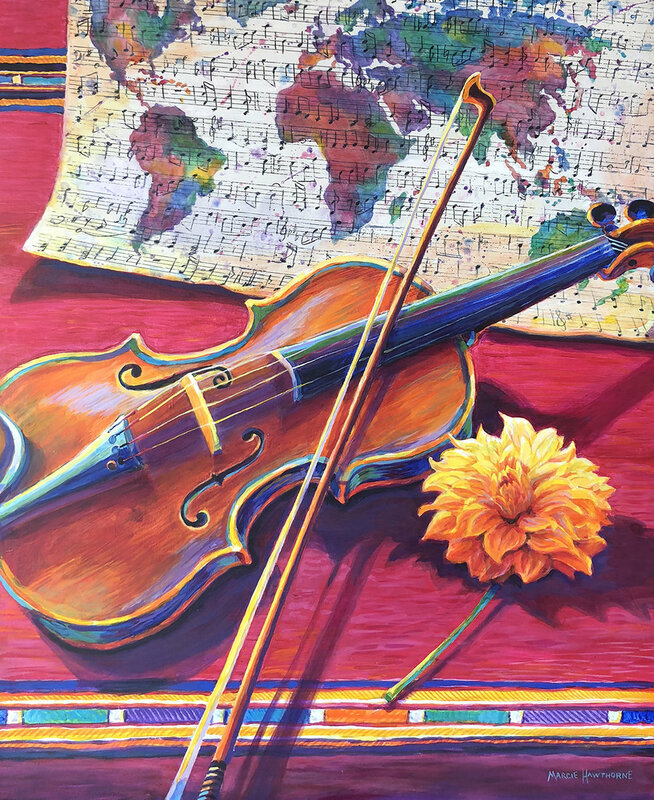 Come see this new exhibit at the San Luis Obispo Children’s Museum” and support their upcoming fundraiser. I will donate a small mural to the auction this Friday, and invite contributions to this fine effort. 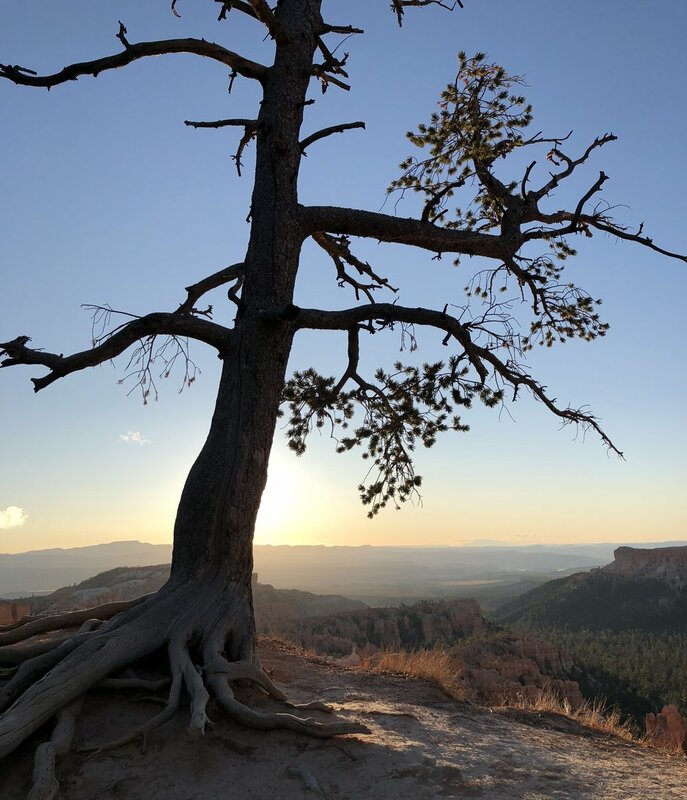 We have just returned from our fantastic trip to the Southwest. Amazing scenery- but in its own way nothing compares to the central coast. Sometimes the best way to experience a place is to sit down and start sketching. It helps me to focus, to take it all in, and to look for the beauty in the minutiae and the little things. How the light is changing, which expressions bring a person's individual personality to life. I bring my sketchbook with me almost everywhere. It's also a great conversation starter! 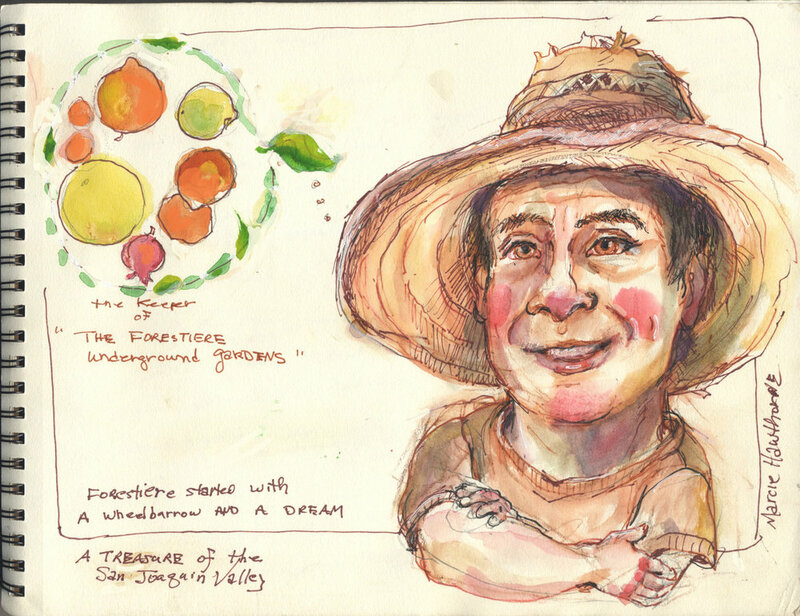 I'm off with my husband Dan to the American Southwest for some fun and artistic inspiration. First stop at a wolf preserve near Zion. The desert light is amazing this time of year.